former champ. who is fkn old now. wont help much. playernumbers wont be over 500 @first week. iam quite happy for those 30 ppl playing this game. lol is that a serious question? game is old as fk and uninteresting. champion mechanics arent a problem anymore. i dont think they would cancel the game. 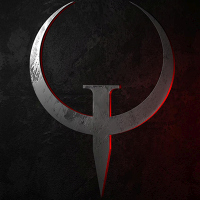 what would be played on quakecon then? didnt know its $15. not gonna buy this dead game then.